A well-written resume is essential for landing a criminal justice job. Your resume will be the first impression a potential employer has of your abilities and qualifications. The most powerful resumes sell a candidate through specific achievements. Specifics entice a company to learn more about what you can bring to the organization. Remember, the main purpose of a resume is to get an interview. Resumes that just glance over your career with general statements will not garner much attention. If you need help, you can find resume templates all over the internet for free. Here are a few tips that can help you craft a powerful resume. Keep It Brief - One of the biggest mistakes job seekers make is writing a novel instead of crafting a short, relevant resume. They fill up page after page with every arrest they ever made, every court case they testified at, and every crime prevention presentation they gave. It's terrific that you have so many achievements, but listing them all will not get you an interview. 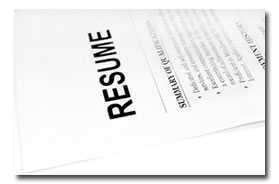 Resumes that quickly highlight specific major accomplishments are more likely to get noticed. You want to tell an organization just enough to generate interest. If you lay everything out on the table, why should they bring you in for an interview? You have already told them everything there is to know. Avoid Misspellings and Grammar Errors - Resumes filled with misspellings and grammar errors will immediately be tossed out. There is simply no excuse for these types of errors, especially since most computer programs have spell check. These types of errors make you look unprofessional. Employers feel that if you can't take the time to proofread a document this important then you probably won't be too concerned about the quality of work you produce on the job. Make It Relevant - Your resume should be filled with relevant information pertaining to criminal justice jobs you are applying to. At one point, you may have been a waiter or a bank teller. However, those jobs are not relevant to the lead detective position you are applying for. Do not include them on your resume. Avoid listing your personal interests too. Organizations frankly don't care. Use that valuable space to sell your criminal justice accomplishments. Specifics Sell You - You may be a team player, a respected employee, or admired by community leaders. Those are all great things to be, but do they really tell what you can bring to the organization? The answer is no. These buzzwords have become so overused that they are essential worthless. Your resume needs to be filled with specifics. Do not just say community leaders admire you. Tell them why. Talk about the specific crime prevention programs you helped enact and provide specific figures showing the reduction in violent crime. Organizations want to interview candidates that can immediately make an impact. Specific statements can do just that. General statements do not say anything at all about your achievements. Use Action Verbs - Action verbs are one of your most powerful resources. Verbs like "executed", "developed", "produced", or "exhibited" help illustrate exactly what you achieved. Follow these action verbs with specific facts and figures. A company can't help but be impressed and bring you in for an interview. Customize Your Resume - Sending the same resume out to hundreds of different organizations will not net many interviews. Customizing your resume will significantly increase your chances of getting an interview. Each company is unique and will have a distinct set of job responsibilities and duties that need to be performed. Customizing your resume to those specific responsibilities and duties shows that you are a candidate they need to speak with. Look at the job description to find these keywords. Then, sprinkle a few of the keywords throughout your resume. It may take you a half hour to tweak your generic resume, but it may just help land you the job.